Iona Blog : Dancing Like No One's Watching... Gigs of 2014. Dancing Like No One's Watching... Gigs of 2014. One thing is for sure 2014 for me has been the year of going to as many gigs as I can squeezing in trips to Glasgow and Edinburgh to dance away at some of the best gigs I've been to yet (very important as I'm sure the best is yet to come!) I thought I'd do a round up post of sorts as over the last month I've been to loads! First up in February was Bastille, a band I'd wanted to see live for ages, they didn't disappoint and I'll definitely be eagerly awaiting news of their next UK tour! Also if you've not listened to any of the Bastille mix tapes before I'd recommend checking out their newest mixtape- VS. Other People's Heartache pt III. I've been playing it so much over the last week since it was released, top picks from it are Remains and Bite Down! Rhythm of the Night, Flaws and my favourite Oblivion! After Bastille my time was mainly spent getting all of my third year assignments completed along with juggling two jobs sadly not much time for gigs, till of course I'd finished my exams! 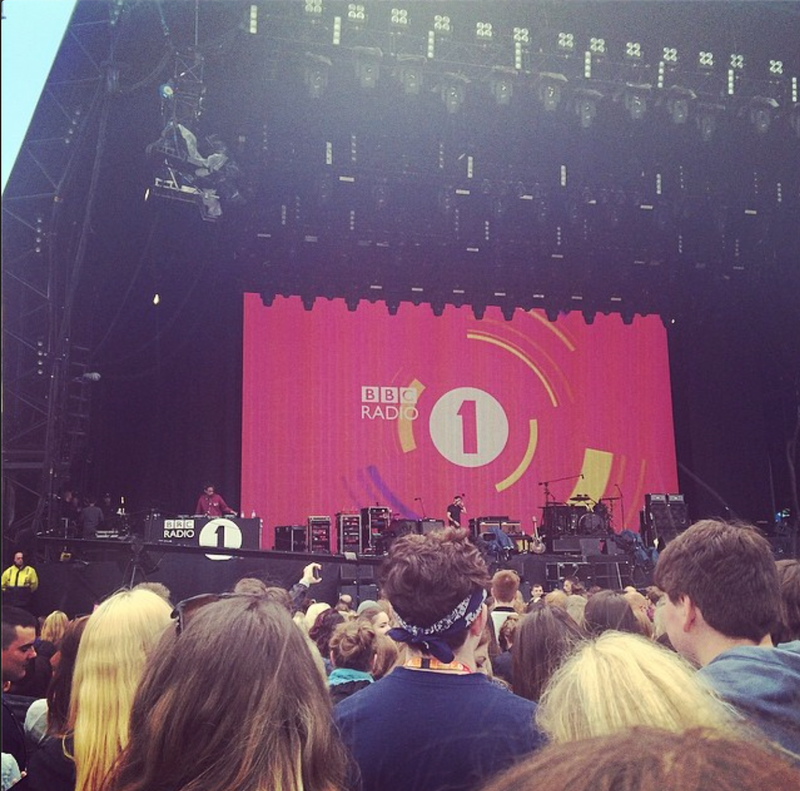 I was lucky enough to snag a couple of tickets for the Sunday of Radio 1's Big Weekend, the perfect celebration after finishing up my degree! First though I headed to see Foxes the night before with my friend Gilly, a real last minute one but such a great night as it was the first night I properly discovered Prides! (More on them later!) 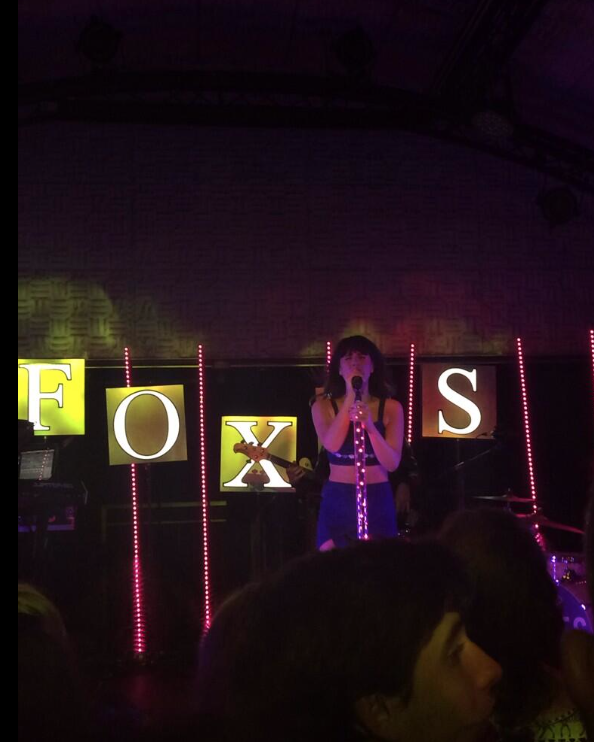 Foxes didn't disappoint and Louisa was really great live. It's hard to decide which was my favourite performance at Radio 1's Big Weekend in fact it's impossible! I'm a huge Kings of Leon fan and would happily watch them live every day if I could, don't think that'll ever happen though! But then Sam Smith and London Grammar were both hauntingly beautiful live; all the goosebumps and both are bands I'd recommend everyone see live at least once! Then of course there was Paolo Nutini, where to start- I've been wanting to see Paolo for years and he was everything I'd hoped for and more; what a babe! Lastly Kasabian one of the few bands that can make me feel like a would-be football hooligan, in a good way of course! The Kasabian set was unreal and they are easily one of the best bands I've ever seen live! Of course there were other performances we caught over the day but for me those five were just the bees knees! The day of all the emotions! Fast forward a couple of months to November and two shows at the biggest venue I've ever been to (till then I'd never been to an arena performance!) first up was the MTV EMA's sitting up in the gods with Loughlan enjoying the spectacle and show, from Nicki Minaj to Simon Neil it was a really great night and I'm so glad we got to go along to one of the biggest music awards when it was held in Glasgow! This of course was only the warm up as the week after we donned our finest gear to head along to see Mother Monster herself, Gaga was incredible! So incredible in fact as within seconds of her walking on stage we had to head outside for air and juice as my body had decided that was the perfect time to faint (not star-struck I'm just a terrible fainter!) we made it back in for one of my favourites though G.U.Y though and the entire show was something else, we were so close to Gaga and she is truly one of the best live performers ever! Bringing some eyebrow realness to the ArtRAVE! My last two gigs of the year were both last week and both on a much smaller scale than the two at the Hydro, first up was Metronomy I headed along with one of the girls from work and what a trip down memory lane it was. Though I haven't listened to Metronomy much recently, I first saw them live when I was just 15! Worst picture as I was dancing too much! First world problems huh! Last but by no means was Prides who I saw earlier this year supporting Foxes, Prides are a band from Glasgow who since performing at the Commonwealth Games and having a number of their songs featured in ad's and tv shows have become much more widely known and quite rightly so! 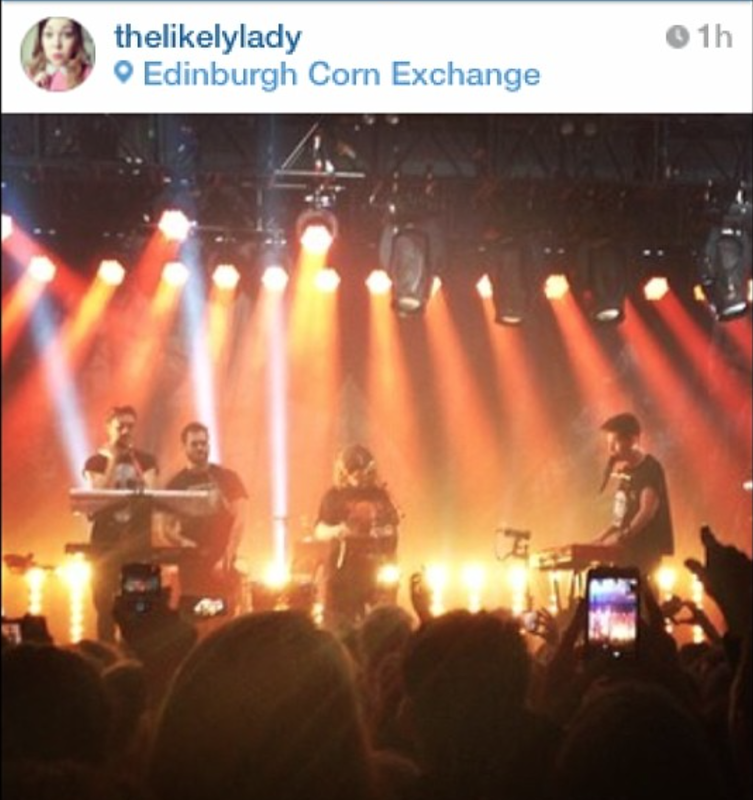 Prides are so good live and it was amazing to see them perform to a sold out venue in their home town! I'll leave you with the Prides 2014 Mixtape which I've been playing on repeat all week, it's so good it's even on Buzzfeed- proud! What a year I've had seeing some of my favourite musicians and performers live and I can only hope 2015 brings more of the same! I'd love to hear what your favourite gig of the year has been or if there is a particular artist you'd love to see!